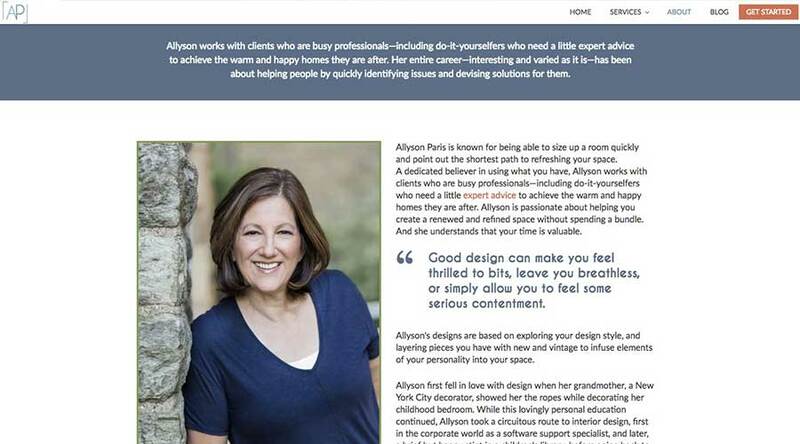 Allyson Paris offers an accessible, unique interior design service that allows clients to make the most of what they already own. 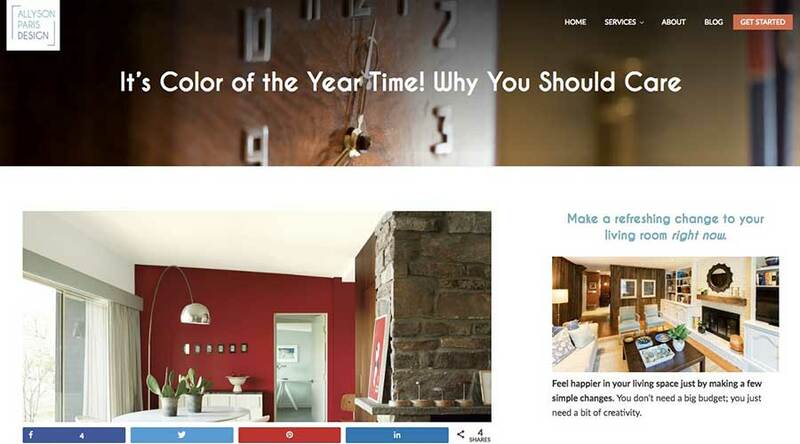 Her eye for color and layout will tie any room together. 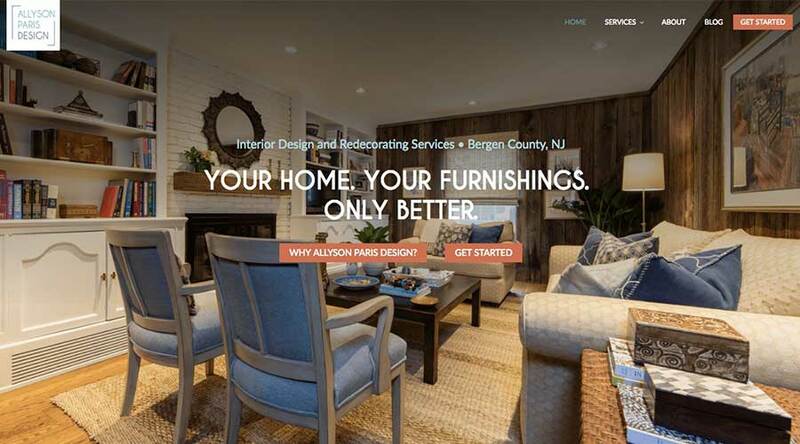 Our mission was to build a well-designed online home to introduce Allyson, showcase her services, and connect with clients. 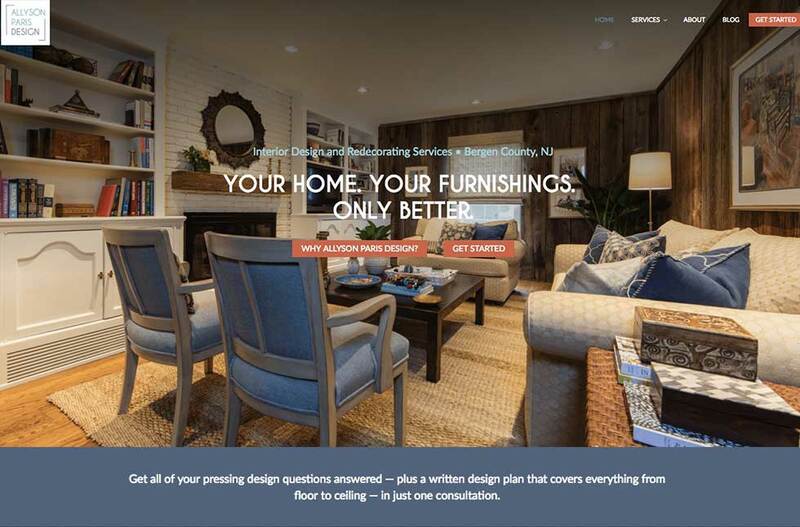 Visual branding—color palette, font selection, logo and other design elements—can have a strong influence on first impressions. 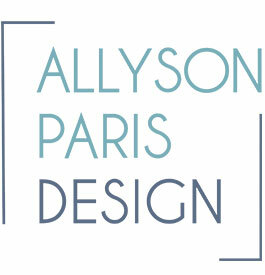 For Allyson, we pulled together a juicy, bright color palette and a clean but memorable logo design. 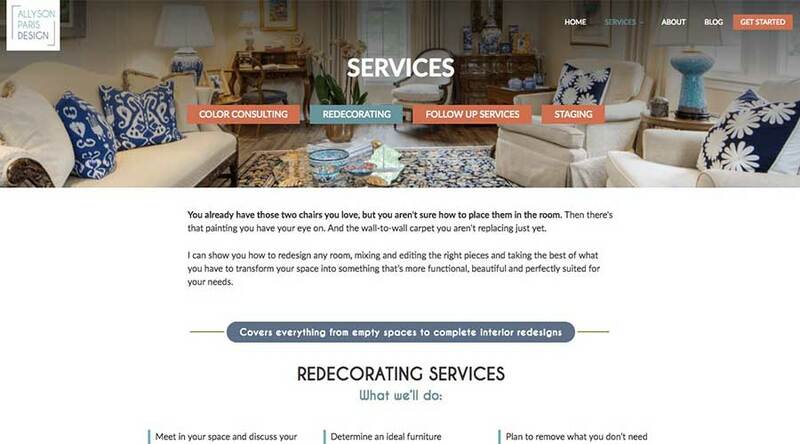 Website visitors get a sense of her personality long before they’ve met for their design consult.